Hewlett Packard - 123476-001 HP/COMPAQ- STORAGE WORKS DUAL BUS HARD DRIVE ARRAY - STORAGE ENCLOSURE 14 X 3.5INCH - 1/3H HOT SWAPPABLE (123476-001). REFURBISHED. IN STOCK. SHIP SAME DAY. Hewlett Packard - 123476-003 HP/COMPAQ - STORAGE WORKS MSA30 DUAL BUS HARD DRIVE ARRAY - STORAGE ENCLOSURE 14 X 3.5INCH - 1/3H HOT SWAPPABLE (123476-003). REFURBISHED. IN STOCK.SHIP SAME DAY. Hewlett Packard - 302970-B21 HP/COMPAQ - STORAGE WORKS MSA30 DUAL BUS HARD DRIVE ARRAY - STORAGE ENCLOSURE 14 X 3.5INCH - 1/3H HOT SWAPPABLE REDUNDANT POWER SUPPLY (302970-B21). REFURBISHED. IN STOCK. SHIP SAME DAY. Hewlett Packard - 70-40019-01 HP/COMPAQ- STORAGE WORKS DUAL BUS HARD DRIVE ARRAY - STORAGE ENCLOSURE 14 X 3.5INCH - 1/3H HOT SWAPPABLE (70-40019-01). REFURBISHED. IN STOCK.SHIP SAME DAY. Hewlett Packard - 302969-B21 HP/COMPAQ- STORAGE WORKS MODULAR SMART ARRAY 30 SINGLE BUS HARD DRIVE ARRAY - STORAGE ENCLOSURE 14 X 3.5INCH - 1/3H HOT SWAPPABLE (302969-B21). REFURBISHED. IN STOCK. SHIP SAME DAY. Hewlett Packard - 190211-001 HP/COMPAQ- STORAGE WORKS MSA30 DUAL BUS HARD DRIVE ARRAY - STORAGE ENCLOSURE 14 X 3.5INCH - 1/3H HOT SWAPPABLE (190211-001). REFURBISHED. IN STOCK.SHIP SAME DAY. IBM - 1746A2S 1746A2S IBM 12bay System Storage DS3512 Model C2A Hard Drive Array. New Retail Factory Sealed With Full Manufacturer Warranty. IBM - 1746A2D 1746A2D IBM DS3512 DAS Hard Drive Array RAID Supported 12 Totalbays Network 2U Rack mountable. New Bulk Pack. IBM - 1746A4D 1746A4D IBM System Storage Ds3524 Model Dual Controller Hard Drive Array. New Bulk Pack. 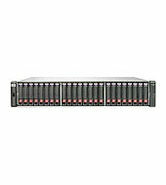 Hewlett Packard - QW918A QW918A HP D2220SB Storage Blade Hard Drive Array 12bay 12 X 900GB. New Retail Factory Sealed With Full Manufacturer Warranty. Hewlett Packard - QW917A QW917A HP D2220SB Storage Blade Hard Drive Array 12bay 12 X 900GB Hdd Supported 0 Hdd Installed. New Retail Factory Sealed With Full Manufacturer Warranty. Hewlett Packard - AW594B AW594B HP Modular Smart Array P2000 G3 Sas Dual Controller Sff Array System Hard Drive Array 24bay 0 Hard Drive. New Retail Factory Sealed With Full Manufacturer Warranty. Hewlett Packard - B7E16A B7E16A HP LeftHand P4500 G2 MDL SAS Storage System Hard drive array - 12-bay - 2 x 2TB. New Bulk Pack. Hewlett Packard - E7W02A E7W02A HP Modular Smart Array 1040 Dual Controller Sff Storage Hard Drive Array. New Bulk Pack. Hewlett Packard - E7W01A E7W01A HP-Msa 1040 2-Port 1g Iscsi Dual Controller Lff Storage Hard Drive Array. New Bulk Pack. 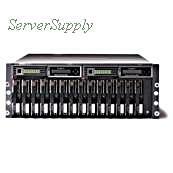 Hewlett Packard - C8S54A C8S54A HP Modular Smart Array 2040 SAS Dual Controller Lff Storage Hard Drive Array 12bay. New Retail Factory Sealed With Full Manufacturer Warranty. Hewlett Packard - BK830B BK830B HP modular smart array p2000 g3 iscsi dual controller lff array system hard drive array 2u 12bay. New Retail Factory Sealed With Full Manufacturer Warranty. Hewlett Packard - C8S55A C8S55A HP Modular Smart Array 2040 SAS Dual Controller Sff Storage Hard Drive Array 24bay. New Bulk Pack. IBM - 2072L2C 2072L2C IBM Storwize V3700 Lff Dual Control Enclosure Hard Drive Array 12bay 0 Hdd Installed. New Bulk Pack. Hewlett Packard - K2R84A K2R84A HP Modular Smart Array 2040 SAS Dual Controller Sff Storage Hard Drive Array 24bays SAS2 SAS 12GB S External Rack Mountable 2U. New Bulk Pack. Hewlett Packard - BK831A BK831A HP CTO Storageworks Modular Smart Array P2000 G3 ISCSI MSA Dual Controller SFF Array Hard Drive Array. New Retail Factory Sealed With Full Manufacturer Warranty. Hewlett Packard - E7W04A E7W04A HP Modular Smart Array 1040 Dual Controller Sff Storage Hard Drive Array. New Bulk Pack. Hewlett Packard - AP845A HP/COMPAQ - CTO STORAGEWORKS MODULAR SMART ARRAY P2000 G3 FC DUAL CONTROLLER LFF ARRAY HARD DRIVE ARRAY (AP845A). NEW FACTORY SEALED.IN STOCK.SHIP SAME DAY. Hewlett Packard - AP846B AP846B HP P2000 G3 Fc Dual Controller Sff Modular Smart Array Enclosures System Hard Drive Array. New Bulk Pack. Hewlett Packard - C8R15SB C8R15SB HP Modular Smart Array 2040 San Dual Controller Sff Storage Hard Drive Array. New Bulk Pack. Hewlett Packard - Q0F06A Q0F06A HP Modular Smart Array 2042 SAN Dual Controller Sff Storage Hard Drive Array. New Bulk Pack. Hewlett Packard - QW915A QW915A HP D2200SB Storage Blade Hard Drive Array 12bay 12X900GB. New Bulk Pack. Hewlett Packard - K2R79SB K2R79SB HP Modular Smart Array 2040 SAN Dual Controller LFF Storage Hard Drive Array. New Bulk Pack. Hewlett Packard - AW597A HP/COMPAQ - 24 BAY CTO STORAGEWORKS MODULAR SMART ARRAY P2000 G3 10GBE ISCSI MSA DUAL CONTROLLER SFF ARRAY HARD DRIVE ARRAY(AW597A). NEW. IN STOCK.SHIP SAME DAY. 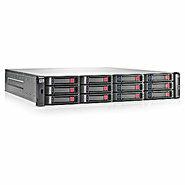 Hewlett Packard - B7E19A B7E19A HP Storevirtual 4330 Hard Drive Array 8bay 1TB Mdl Sas Storage. New Bulk Pack. 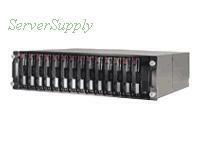 Hewlett Packard - C8R14A C8R14A HP Modular Smart Array 2040 San Dual Controller LFF Storage Hard Drive Array 12bay. New Bulk Pack. Hewlett Packard - C8R17A C8R17A HP Modular Smart Array 2040 SAN Dual Controller Sff Bundle Hard Drive Array 24bay 24 X 900GB. New Bulk Pack. Hewlett Packard - C8R16A C8R16A HP Modular Smart Array 2040 San Dual Controller SFF Bundle Hard Drive Array 24bay 24 X 1.2TB. New Retail Factory Sealed With Full Manufacturer Warranty. 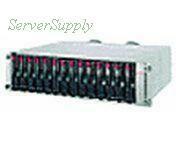 Hewlett Packard - B7E28A B7E28A HP StoreVirtual 4730 Hard drive array - 25-bay - 25 x 900GB. New Bulk Pack. Hewlett Packard - M0T36SB M0T36SB HP E Modular Smart Array 2040 SAN Dual Controller Sff Bundle Hard Drive Array 24bay 4 X 400GB 8 X 900 GB. New Bulk Pack. Hewlett Packard - C8S56A C8S56A HP Modular Smart Array 2040 Sas Dual Controller SFF Bundle Hard Drive Array 24-Bay 24 X 1.2TB. New Retail Factory Sealed With Full Manufacturer Warranty. Hewlett Packard - B7E20A B7E20A HP Storevirtual 4330 Hard Drive Array 8bay 8 X 900GB Installed Hdd Capacity. New Bulk Pack. Hewlett Packard - M0T61A M0T61A HP Modular Smart Array 2040 SAS Dual Controller SFF Bundle Performance Tier Hard Drive Array. New Bulk Pack. Hewlett Packard - M0T60A M0T60A Hp Modular Smart Array 2040 SAN DUAL Controller Sff Bundle Performance Tier Hard Drive Array. New Bulk Pack.